Homeowners want to remodel their home to perfection, and an efficient way to attain this goal is by choosing the right roof. Peak Roofing Contractors takes pride in being one of the few selected GAF Master Elite™ roofing companies. This designation allows us to provide you with the brand’s Designer shingle roofs that will help you create your dream home. Here’s how this roofing option can enhance your home’s curb appeal. Our roofs are available in a wide selection of styles that will let you add character to your home’s exterior. Our Grand Canyon® shingles offer a rugged wood shake look along with oversized tabs that add depth and dimension. Meanwhile, our Glenwood® shingles have the natural beauty of wood shakes. These roofing options also feature a triple-layer design that will give your roof that dimensional appeal. Aside from style, our Designer shingle roofing comes in an array of colors that will liven up your home’s exterior. We have brown shades that emulate rustic earth tones while letting other colors become vibrant. We also have red tones that give a passionate, refined or assertive impression. Our Designer shingles are also available in Adobe Clay, Golden Prairie, and Chelsea Gray. Excessive exposure to the elements can wear down your roof’s colors, causing it to lose aesthetic value. 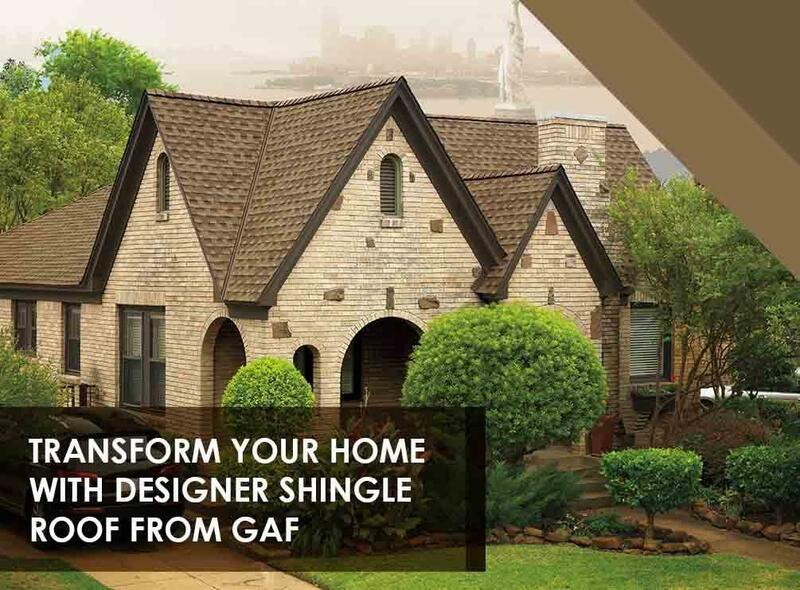 GAF’s Designer shingles, however, come with components that will help preserve their beauty for years to come. StainGuard® protects the shingles from unsightly blue-green algae. They also feature Color Lock™ granules that help retain the original color of each shingle. At Peak Roofing Contractors, you can expect us to provide you with roofing that will turn your home into a visually pleasing sight. Rest assured that we’ll help choose the roof that will fit your home. Call us today at (703) 745-5153 for more information about our roofing options. We serve homeowners in Northern Virginia, Manassas, and the surrounding areas.